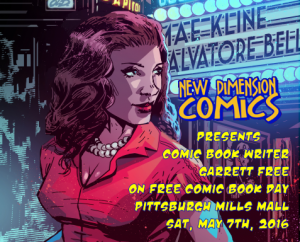 Special Guests: Garrett Free and Matt Bolton to appear at Pittsburgh Mills for FCBD! Matt Bolton been drawing for the last 15 years with a focus on pop culture and comic book style art. 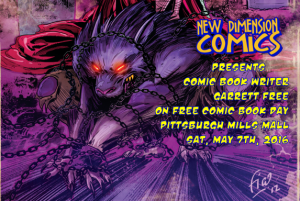 Having set up at comic cons and comic shops in Pittsburgh, Ohio, and Arizona. He sells prints, posters, and sketch cards of his art as well as takes on commissions. 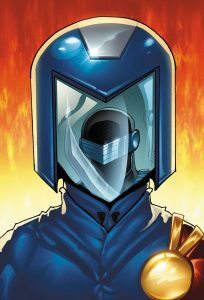 Living in Phoenix Arizona for the last 10 years he has been featured in 5 comic shops and is looking forward to working with shops and local creators on future shows and projects. Matt has been able to work with Brian Miller from HI-FI design and Shelby Robertson who have worked at Marvel, DC, and Image comics on art prints he brings to shows. You can see Matt’s art and his comic con show schedule on his face book page artbybolton.